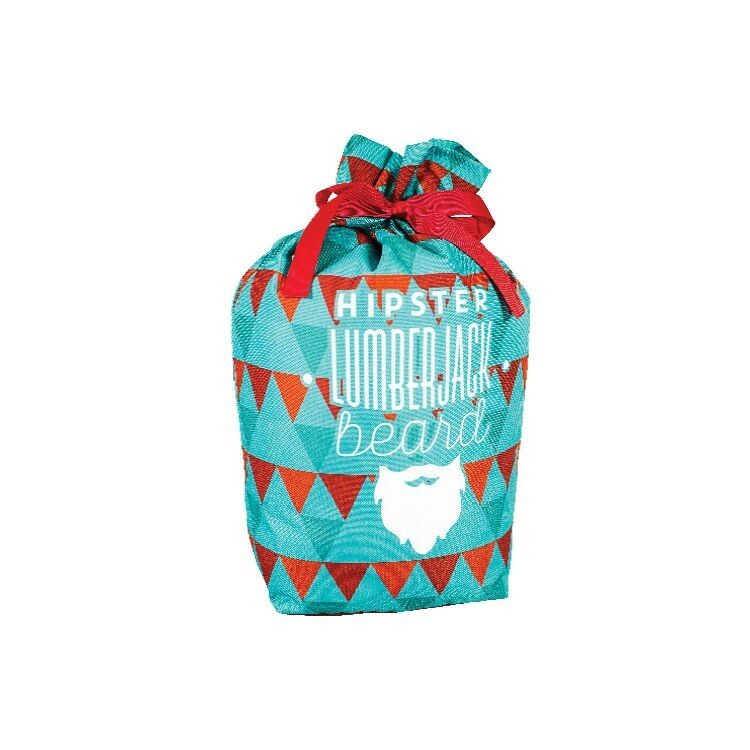 This drawstring backpack features heavy-duty 600 Denier polyester, ¼” nylon cord drawstrings, and a beautiful full-color design. 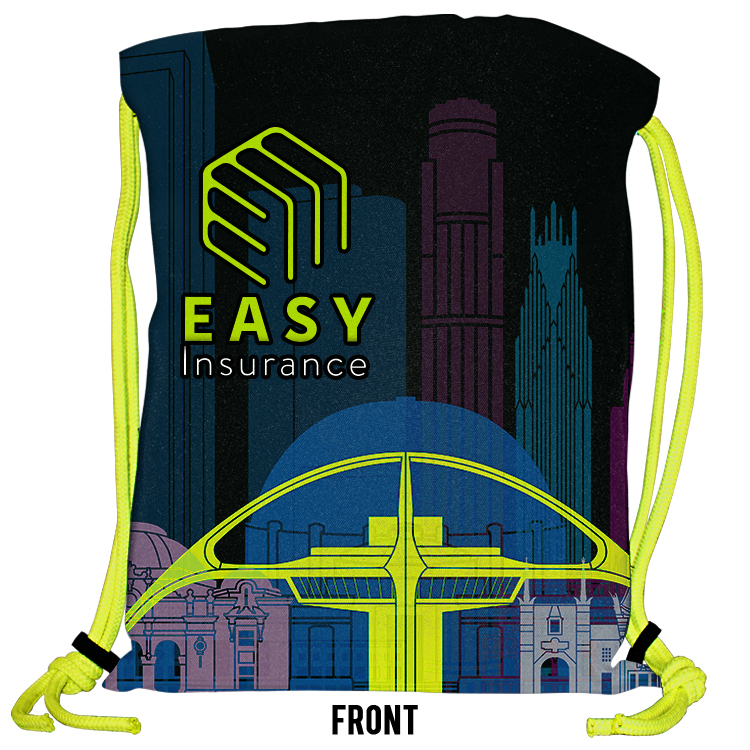 This version of our drawstring backpack is a fully customizable bag where you can change the color of the back panel, the type of strings as well as the reinforcements on the grommets. It is printed in the USA. Sewn In The USA These cinch top bags are very cute. In addition to having your customers full color art on every inch they can have a variety of colors for the top tie. Sewn & Printed in the USA. This gives us the ability to print your customer’s art on the material before we assemble the products. It also gives us the freedom to slightly adjust sizes and features of each bag style according to your needs. Webbed handles are available in various colors and sizes as desired. 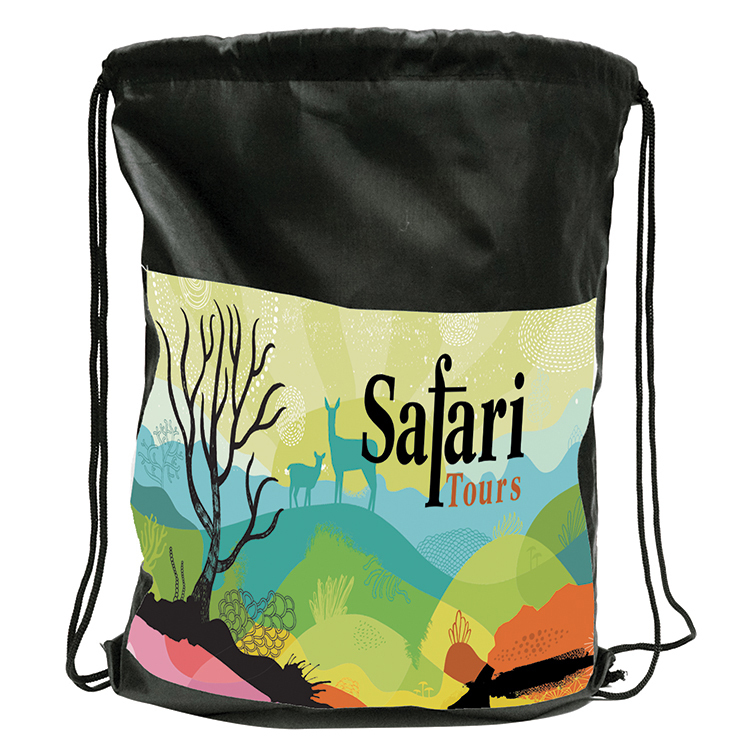 Looking for a soft drawstring backpack bursting with full color? 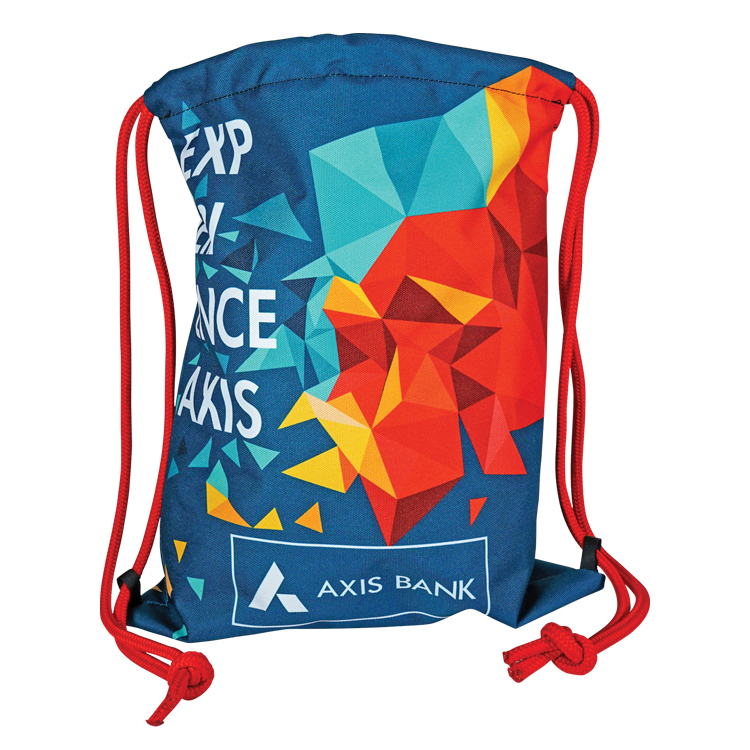 Our Vibrant Color Cotton Drawstring backpack allows edge to edge high resolution images and designs! 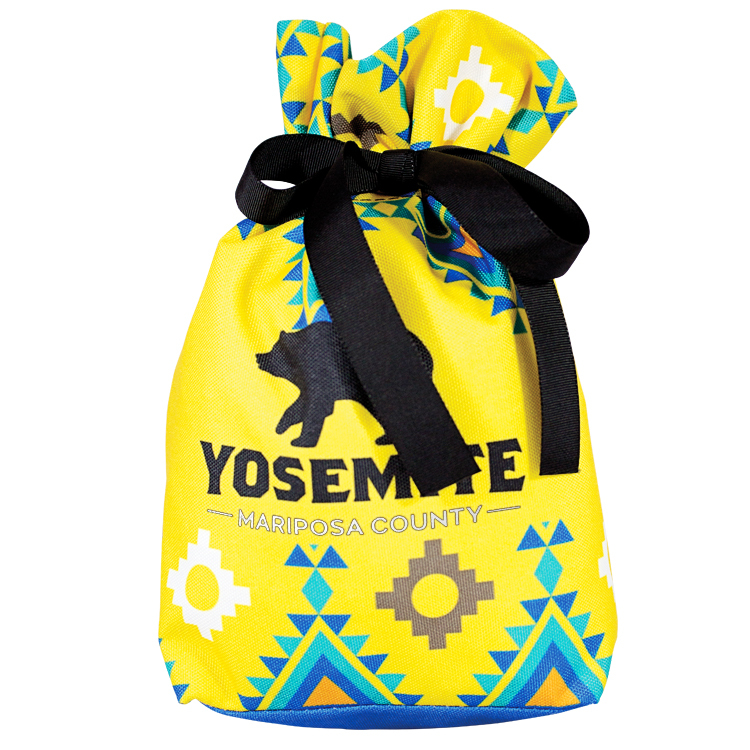 Our Sublimated Pocket Drawstring Pak is an inexpensive drawstring backpack option perfect for sporting events, concerts and schools. 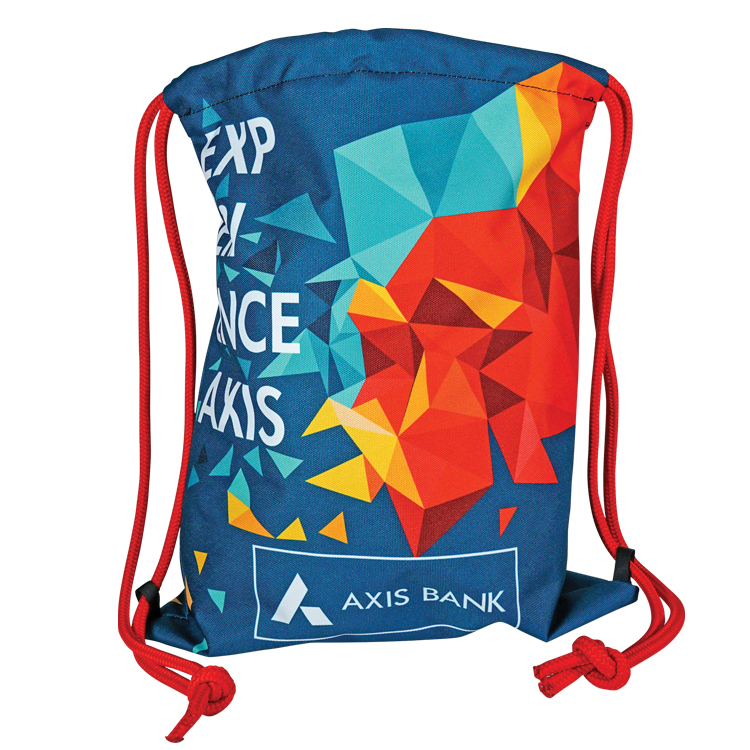 This bag features a front pocket that can be sublimated with a full color image. 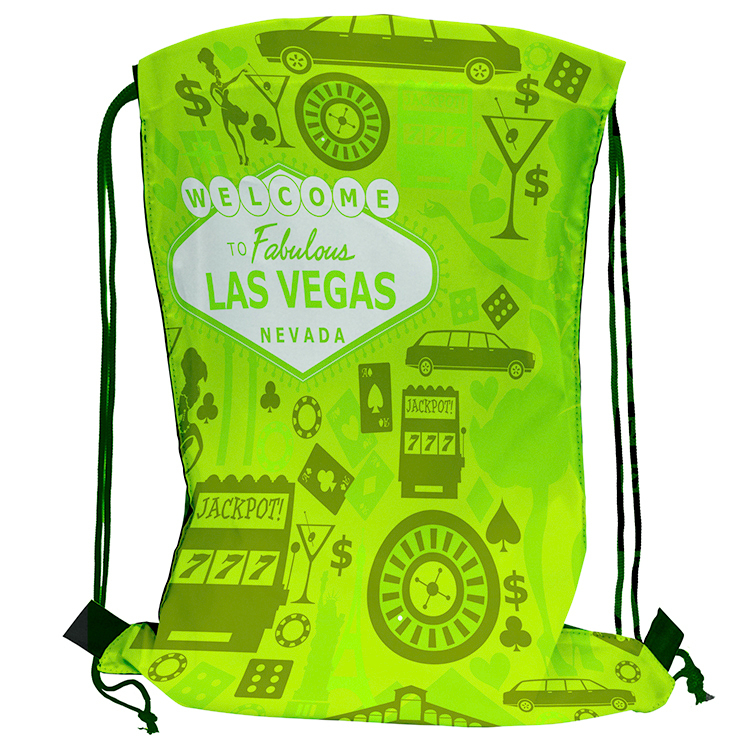 The entire front side of this drawstring bag can be sublimated with a high quality, full color image. 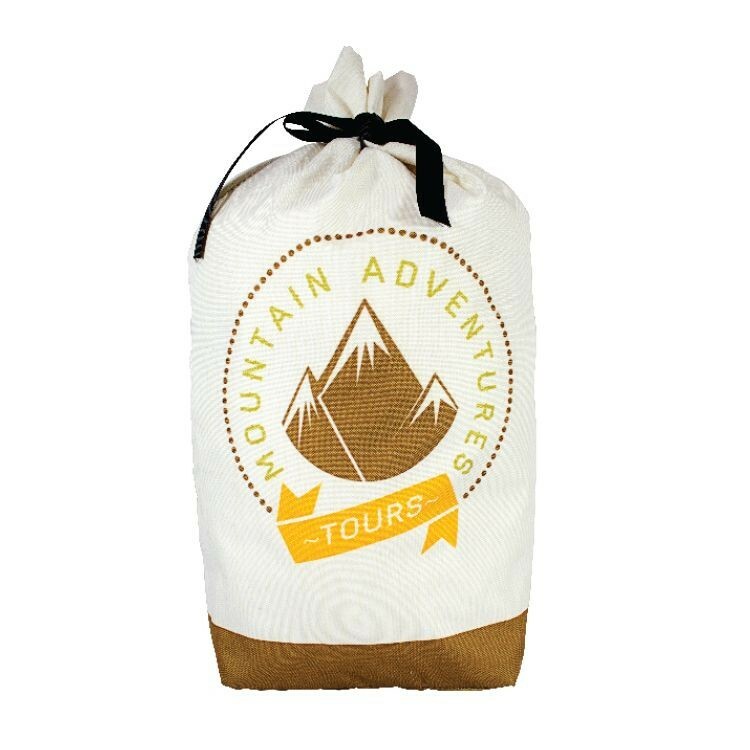 This drawstring is a fun, inexpensive promo option for all events. The back side of this bag is solid black. 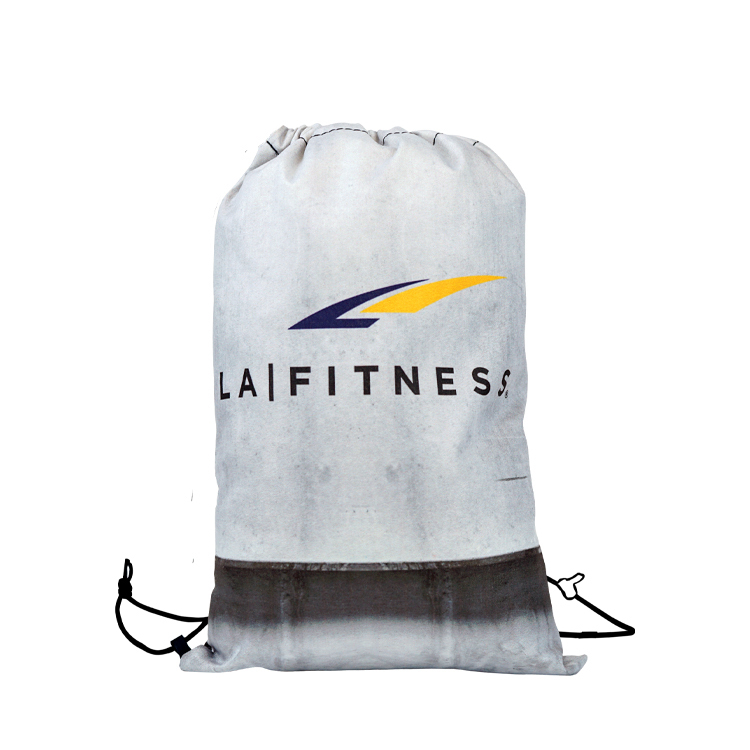 This drawstring bag is Sewn in America to your specifications and can be customized to best meet your needs. 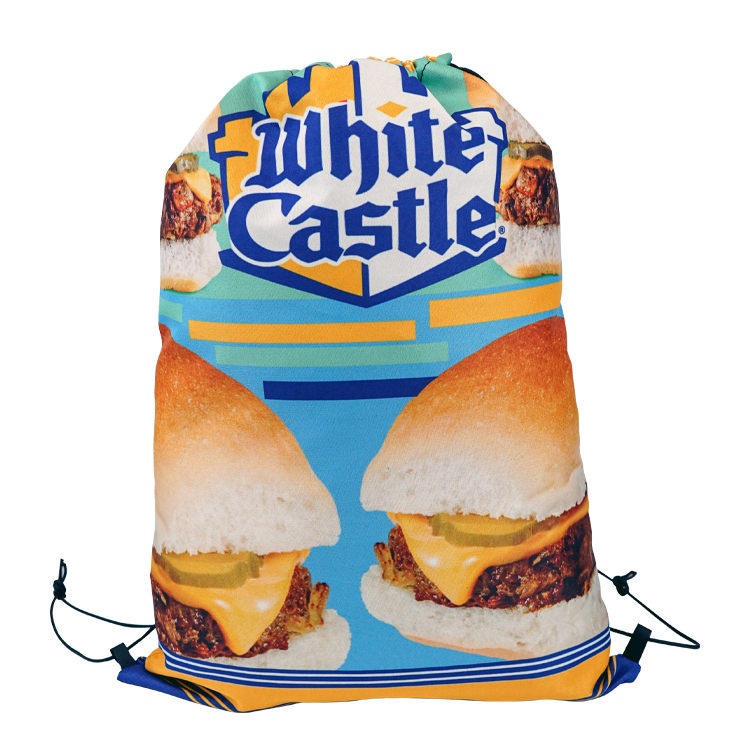 The standard version is priced to include a full color 600 denier polyester sublimated front panel and a black nylon back panel and includes ¼” nylon cord drawstring. 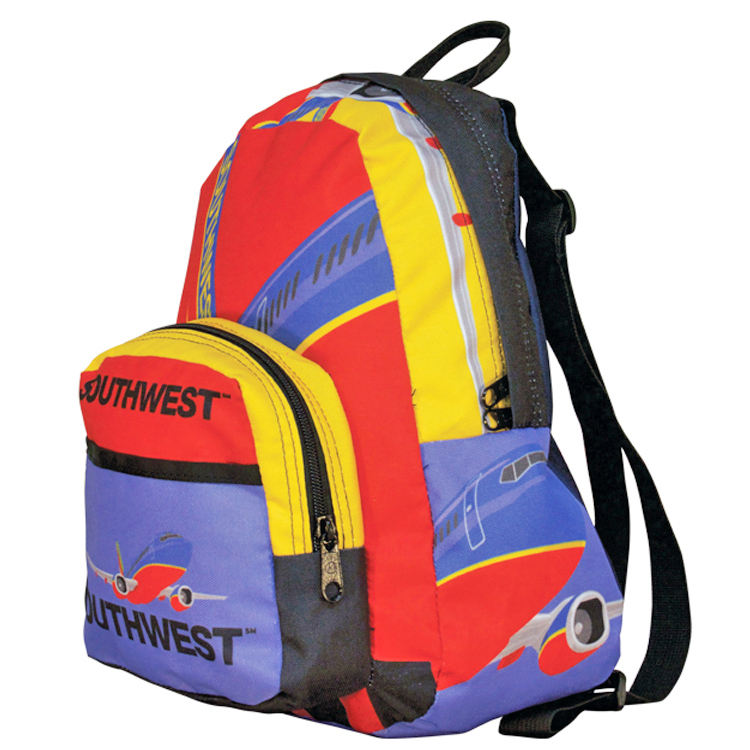 This heavy-duty drawstring backpack is unique in that you can choose from five different colored drawstring cords that best match your full color graphics on the front panel. 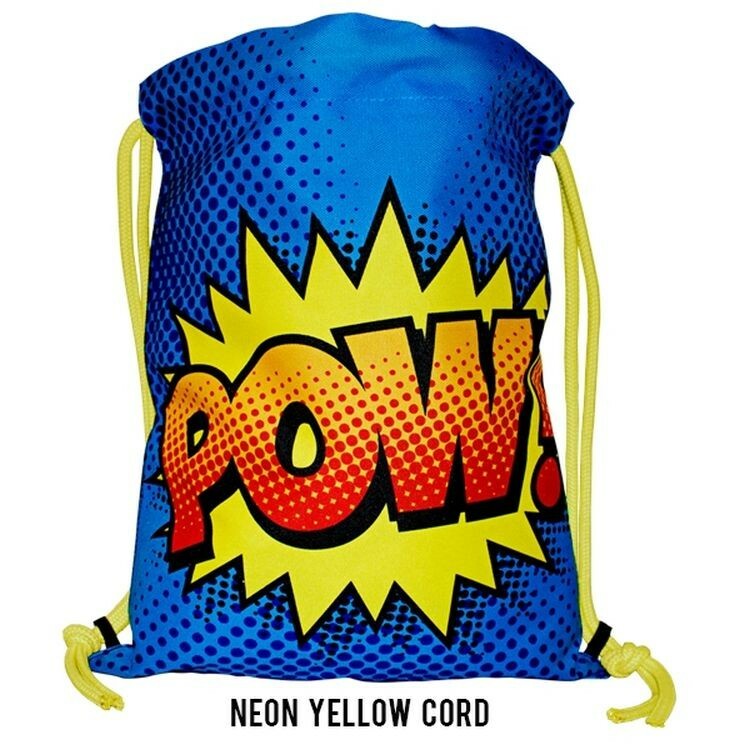 This bag has a double pull drawstring cord configuration that comes in either black, royal, red, neon pink or neon yellow and measures 5/16” x 72” on each side. The cord is tied at the bottom with extra room for adjusting the knots to allow for more shoulder room, if needed. Just like the cords on the big-name sport packs this soft cord is easier on the body than the thinner less expensive drawstring sacs. The front panel allows for seam to seam full color printing to maximize color and messaging. Our Medium ColorBurst Backpack is perfect for those small getaways, walking around town and to represent your brand in any place! Fully sublimated panels allow your designs to burst with colors in a fun & bright way! 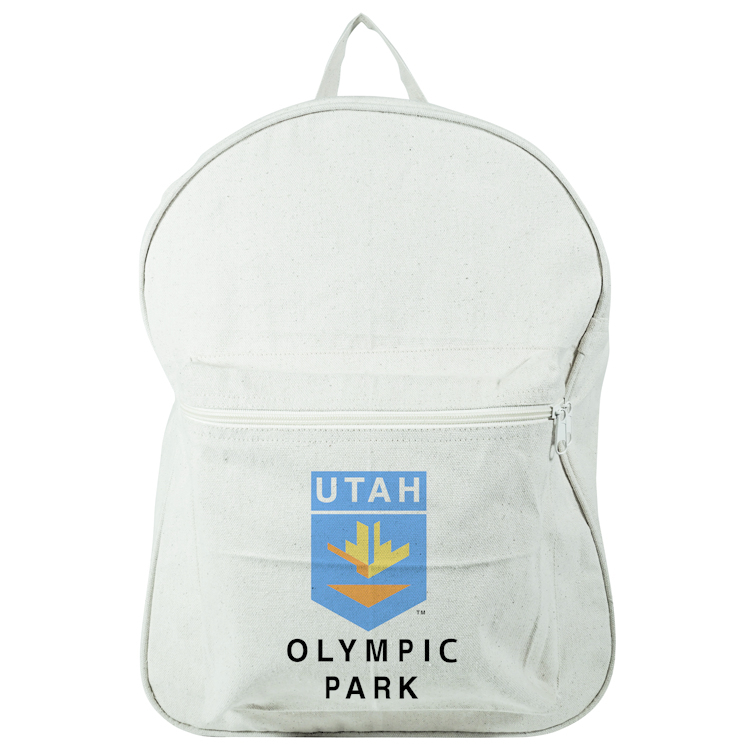 Made from a durable 600 Denier Polyester, this backpack is a fabulous promo!